BD&H Limited was formed in 1989 following the merger of BD Studios and W. H. Hutchins and Son's which were both established in 1968. 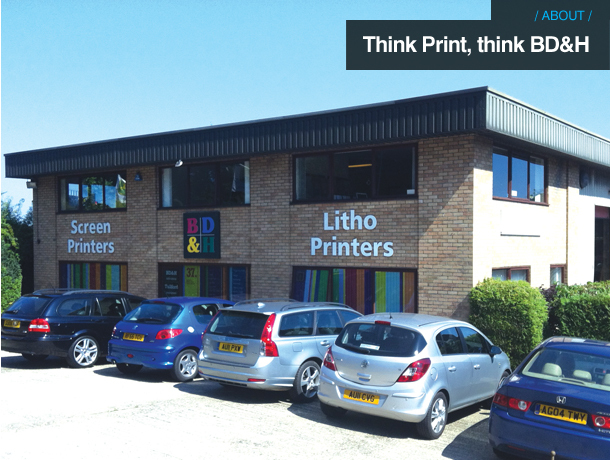 We offer a unique specialist print and design service - Screen Print, UV Litho Print, UV Digital Print all under one roof, harmonising traditional skills with the latest technology. We pride ourselves on customer service and our ability to offer innovative ideas and solutions. We are proud of our commitment to quality, service and the environment with our ISO9001 and ISO14001 certifications.